LWVCNM supports drug court programs; treatment for all persons with drug addiction; and syringe exchange programs in Bernalillo County. These programs should be prudently and appropriately funded. Research on more effective pain treatments and therapies and widespread dissemination of research results. LWVCNM believes pain management is the process of providing care to alleviate or reduce acute and chronic pain, which can also cause secondary disease processes (e.g., high blood pressure). This care may include pain medications and a variety of therapies proven by research to be effective. Support of a requirement that functional competence in basic skills be demonstrated before a high school diploma is awarded. drama) and ongoing technological developments. STEM subjects (science, technology, engineering and mathematics). Identification of children at risk should begin early in the educational process and continue through high school. Remediation should be provided as early as possible. An alternative path to a high school diploma should be available. Support for community colleges that should offer certificates and associates degrees for a variety of careers. Such degrees could be terminal or transferable toward a four-year program. Support for the protection of the First Amendment rights of public school students and library patrons. Support for a selection policy for school and public libraries that allows for access to a wide variety of materials. Support for a purchase and distribution system of instructional materials for public schools that is timely and cost effective. Support for the selection of basic instructional materials for the public schools by a committee which consists of administrators, teachers, and parents and that represents a cross section of the ethnic, geographic and economic population of the community. In addition, resource persons who have expertise in the subject under consideration will serve in an advisory capacity. A strong conflict of interest policy. Support for a policy that allows for informal resolution of controversy and a systematic reconsideration procedure for textbook and library materials. 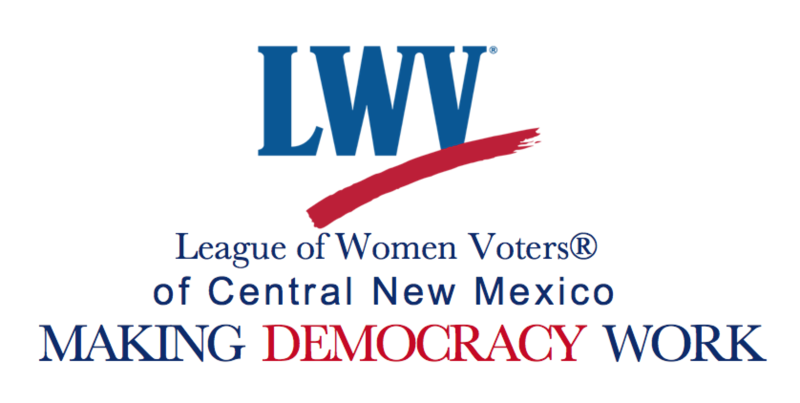 LWVCNM supports health care, mental health care, preventive and educational health programs, comprehensive reproductive health care, including abortion, and home health care. the indigent and supports mill levies as a means of funding such health care. Local government has primary responsibility for making available, facilitating, and coordinating provision of affordable, decent, and safe housing using federal, state, county, or city funds. This may also be done by coordination with private builders, nonprofit organizations, and/or foundations. Regulatory variances which may be granted do not permit unsafe or unsightly conditions. Design review by a qualified panel. A variety of home ownership and rental opportunities in public or private affordable housing projects. An adequate maintenance system in all affordable housing projects. This system should include education and training for residents in maintenance skills. Encouragement of the formation of tenant organizations. Long Range planning, accountability, and neighborhood involvement in expenditure of federal Community Development Block Grant funds for housing rehabilitation. Leadership in assistance for homeless programs which provide both shelter and services for targeted populations, particularly families and the mentally ill.
Boarding houses as a way of meeting housing needs. Community – based residential care for the mentally ill. Eliminate the requirement that the election must be held within 90 days after the date of filing the petition with appropriate signatures. Support for the development of budgets that provide for long – range planning and evaluation programs. Support for municipal and county officials providing the media and citizens’ groups with simplified budget information. This should occur prior to public hearings as a means of preparing citizens for the budget process. Support for assessing the cost and effectiveness of programs supported by federal funds. Support for local governments to share in the New Mexico personal income tax as the most effective and equitable source of revenue. Support of combined form of government for Albuquerque and Bernalillo County. Support for coordinating municipal and county government with joint use of records. Support for nonpartisan local government elections. A significant increase in the number of signatures required on a petition before a person can be placed on the ballot as a candidate for mayor for Albuquerque. Preferably, the number of signatures should be based on either a percentage of voters having voted in the last mayoral election or of Registered voters, or of population of the city. Land use decisions must be made with consideration for economic, environmental and social factors. We believe that it is possible to incorporate the principles of conservation of resources, to relate the use of land to its inherent characteristics and carrying capacities and still achieve an optimum balance between economic and social needs and environmental quality. Support of development that protects natural resources and promotes the equal right of all to an environment beneficial to life. Composition of neighborhoods to include a diversity of types of housing and of socioeconomic groups. Support for coordinated municipal/county and regional planning and zoning. Support for coordinated regional land use and transportation planning. Support for coordinated regional land use and transportation planning. This planning shall include consideration of the impact of traffic congestion. The provision of viable transportation choices. Support for a regional public transit system with a policy – making board that includes citizens with voting powers. Support for coordinated regional water planning.